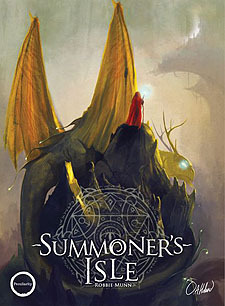 In Summoner's Isle you are an unproven Adept, competing in a rite of passage to prove that you have full command over your creatures. To do so you must apply careful strategy, prove yourself in combat and most importantly, demonstrate your ability to absorb large quantities of spirit energy. Only once you have achieved all three will you graduate to the mainland to take your place among the exalted ranks of the Summoners.